What Is Serpentine? What Is Jade? Serpentine is a metamorphic rock. It is dark green to blue-green and has a greasy to glassy luster. This means that it was created by intense heat and pressure deep in the crust of the earth. 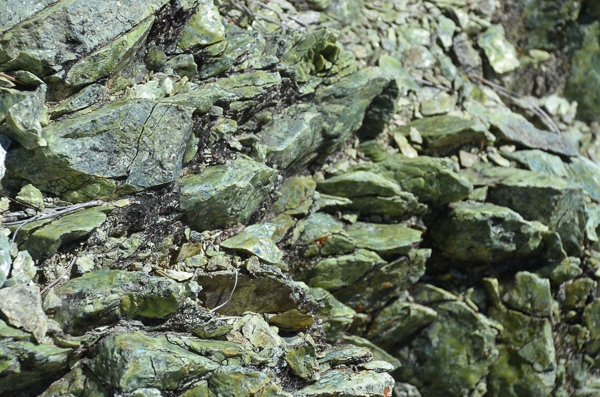 The California Geological Survey says, "Serpentine rock is primarily composed of one or more of the three magnesium silicate minerals: lizardite, chrysotile and antigorite. Chrysotile often occurs as fibrous veinlets in serpentine. Chrysotile in fibrous form is the most common type of asbestos. Asbestos is a group of silicate minerals that readily separates into thin, strong and flexible fibers that are heat resistant. Lizardite and antigorite don’t form asbestos fibers and instead are plate-like. Serpentine is metamorphic and/or magnesium-rich igneous rock, most commonly peridotite, from the earth’s mantle. (The mantle is a thick layer of rock just below the earth’s crust.) 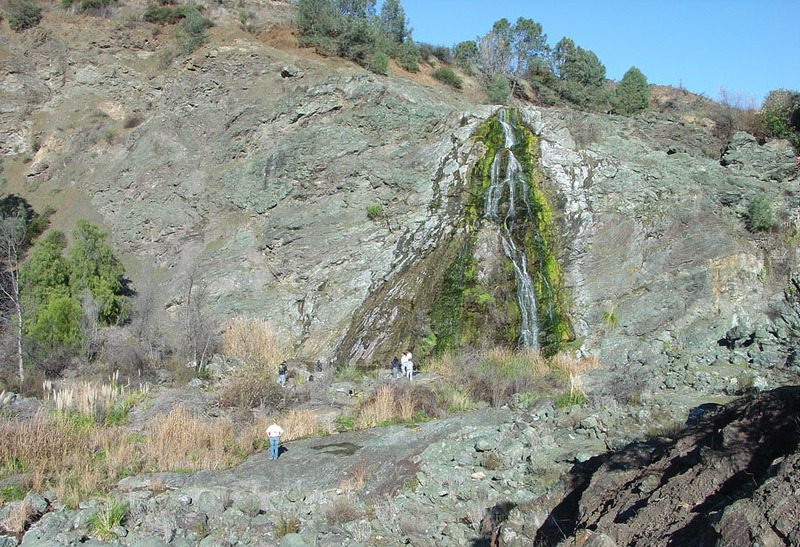 Peridotite underlying oceanic crustal rocks was metamorphosed to serpentine in subduction zones that existed at various times in California’s past. (A subduction zone is where ocean crust rocks run into and slide underneath the edge of a continent.) Because serpentine has a much lower density than peridotite, it rose toward the surface along major regional thrust faults associated with the subduction zones." 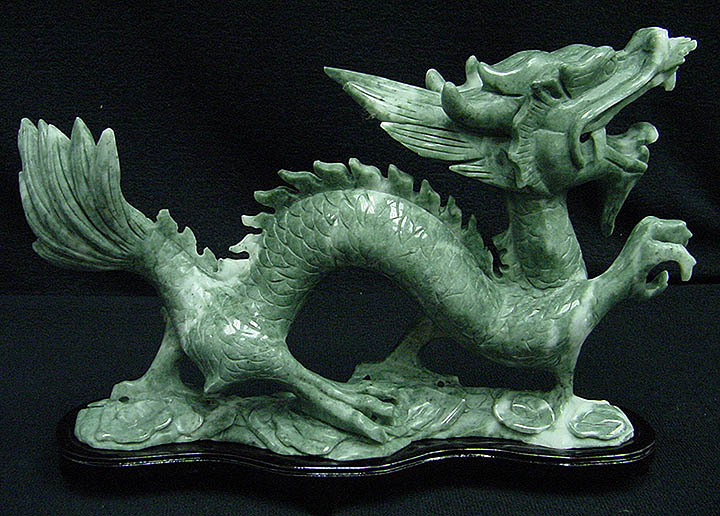 There are two types of jade, nephrite and jadeite. Nephrite jade is a metamorphic rock that is made up of interlocking crystals of the mineral actinolite. 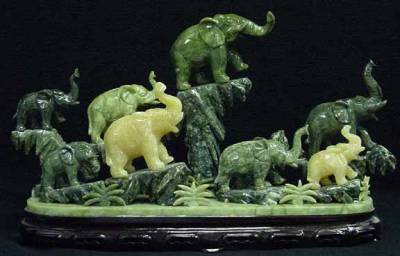 Nephrite is very hard and can be carved and polished. California has some of the best nephrite deposits in America. pyroxene minerals. Jadeite is rarer than nephrite. Serpentine was selected as California’s official state rock in 1965. As a matter of fact, California was the first state in the United States to choose an official state rock. Found with serpentine deposits are other important minerals like cinnabar and chromite.